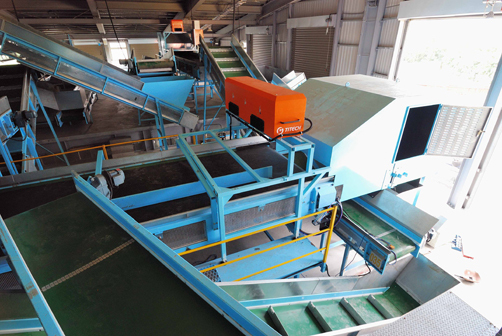 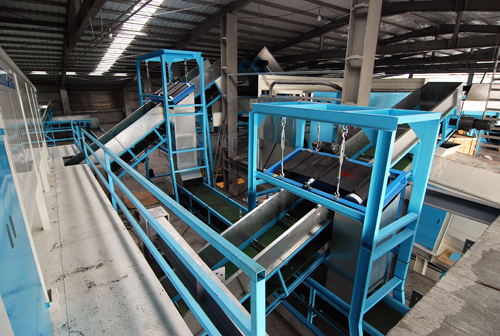 Auto sorting the steel、wastes、caps、large residues by presorting plants, and then auto sort the PET、PE、PP、PS、PVC (Color) by NIR devices. 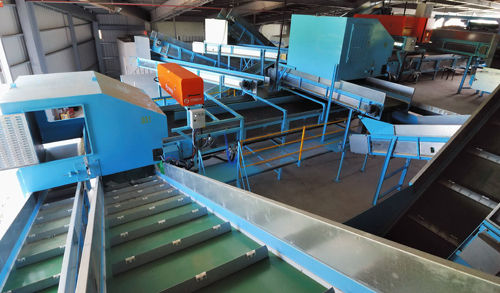 People have to classify and control the quality before dropping to the storage. 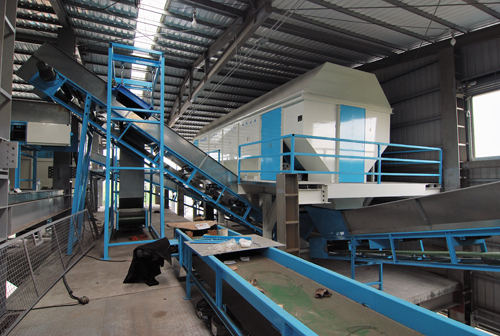 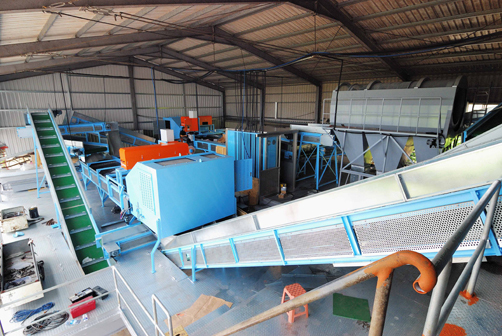 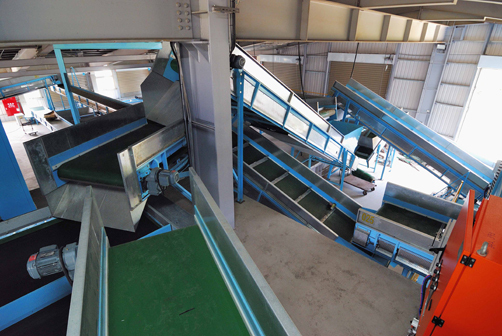 Finally the conveyer delivery each materials to the baler to make a production.